Daily Debate: What is Your Favorite Amiibo Drop in Breath of the Wild? I love amiibos. Not only do they make really cool collector’s items, they drop some super fun stuff in Breath of the Wild. Stuff that, no lie, I kind of rely on. Arrows and weapons and such. But, some Zelda amiibos drop some awesome things. For example, one of my favorite items in the game comes from our Princess, the Lady of Smash, Zelda herself. 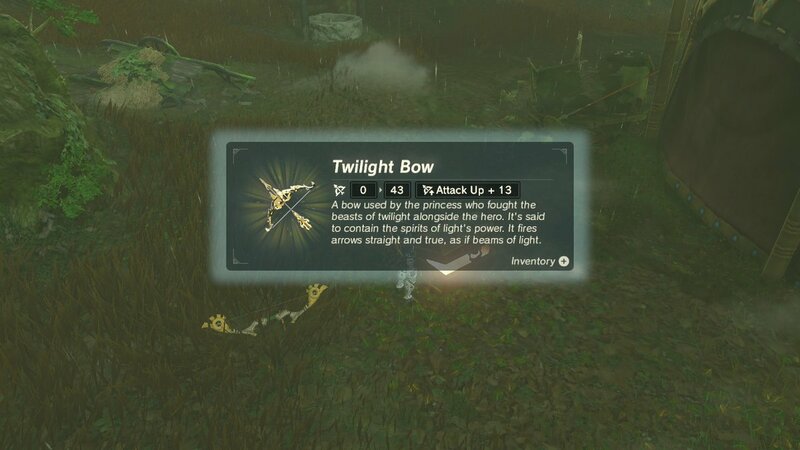 The Twilight Bow, with arrows of light that fire straight and true. A sniper’s dream, basically. It is my goal to get all the Zelda amiibos, just so I can get the Divine Beast Helms, Wolf Link, the Fierce Deity get up (coolest get up, in my opinion), gear parts, arrows, star fragments, I could go on for a while on this. But, ultimately, she’s got my favorite drop. So, what is your favorite amiibo drop in Breath of the Wild? Let us know in the comments below!